1.Data level issues…any meta data corruption within boot sector, catalogue, master file table, etc. and/or logical corruption of file system structure such as accidental deletion, format; operating system or application failures; malicious software/virus attack, etc. Most data level issues can be dealt with utilizing one of many commercial data recovery programs available through the internet or your favorite computer store. 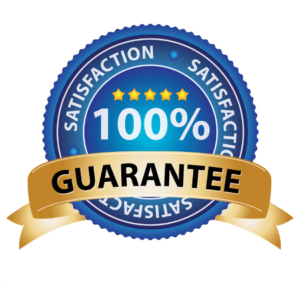 If you either do not wish to purchase a data recovery program or you are not comfortable with your abilities to configure and run these utilities, contact a reputable data recovery company for assistance. A. Never try to run utilities on a hard drive that is making any unusual noises such as clicking or buzzing. B. Never allow any program or utility to write back to the original hard drive. Always have a secondary drive attached where the recovered files can be written. 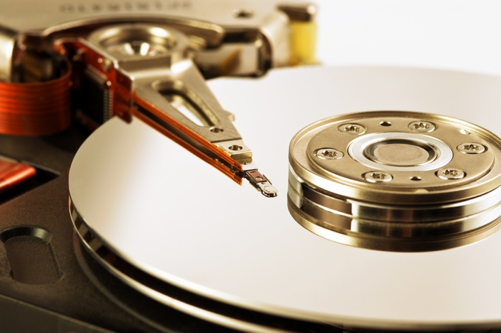 C. If, while attempting to run software utilities, the drive slows or stops responding or takes an unusually long time to complete***(most software should successfully conclude within 2-3 hours max and be monitored constantly), power down the hard drive and consult a data recovery professional. A reputable company will be willing to discuss your situation and help you assess the most effective means for a successful recovery. ***When the recovery software encounters a bad data block it will continue attempting to read for up to 500 times before it then moves on to trying to update firmware, potentially causing even more problems and will eventually lead to complete drive failure. If the actual media has started deteriorating, debris can be generated causing a subsequent head crash and could render the data completely unrecoverable. 2.Disk level issues…any read instability problems where the hard drive or SSD is still functioning but is very unstable such as slow reading, locking up system during hard drive access, etc. This can encompass anything from bad sectors to degraded read/write heads, minor damage to the thin magnetic material applied to the surface of the platters where the data is actually stored and/or minor corruption of the microcode/firmware which leads to the drive not responding(blue screen). This is an area that is least understood and also where the most data recovery mistakes are made. Many drives that would normally be fully recoverable may be reduced to a partial recovery or even no data recovery at all, if not properly processed. Approximately 80% of all unrecoverable data is directly related to previous failed recovery attempts. When a read command is sent to the drive one of 2 things happen; 1-data is read and successfully recovered (Yeah! ), 2. If read command is not successful, software will send commands to re-try (up to 500 or more times) until it is read, the machine hangs or the drive crashes (in many cases, making the data completely unrecoverable). We can circumvent this by using non-operating system access to the hard drive which de-activates the internal hard drive processes and monitors the data reading process, allowing lab initiated read/write head control to change the way sectors are processed. 3.Drive level issues…Mechanical or electronic instability where the drive may respond to some commands, but not enough to allow access to the data. Complete drive failure caused by damaged read/write heads, electronic failure, spindle motor seizure, or severe firmware corruption resulting in inability of the hard drive to process any ATA commands or a limited ability to access large portions of the data.. In the case of solid state drives (SSD) controller failure is the most common issue. Contrary to much misinformation propagating the web, there are no possible DIY solutions for drive level issues. The complexities of a hard drive can be visualized using the following analogy, which helps to appreciate the achievements of researchers and engineers from a variety of disciplines. Imagine an airplane(representing the read/write head) flying at 5 million miles per hour but only 1/16th inch above the ground, on a highway with 100,000 lanes, where the width of each lane is only a fraction of an inch. The data would be represented by tiny cars in each lane. The plane has to precisely follow one lane without straying into another, and count each car noting it’s color, make and model. The plane is expected to switch lanes frequently following each new lane with the same precision and locate any single car on demand.. A scaled down version of this scenario is what one finds in the head positioning servomechanism of a hard drive. Head positioning and read/write operations are controlled via microcode that is written to the firmware which is located partially on electronic chips on the circuit board and partially in service modules that are stored in the manufacturer service area of the drive and is only accessible utilizing specialized equipment. While advances in manufacturing and technology have made it possible to mass produce and thereby greatly reduce the cost; the hard drive remains a very complex mechatronic (unification of mechanical, electronic and control systems)unit. One where operational tolerances are only a few nanometers(one billionth of a meter). For comparison a sheet of paper is about 100,000 nanometers thick. Anytime that you have a data recovery issue, the first step is to determine which failure level(or combination of levels) is causing the end-user described symptoms and/or your current observations. This is applicable to any operating system; Mac, PC(windows), Linux, UNIX, etc. If software is appropriate, that’s great. There are multiple utilities that work very well for recovering data from healthy, functioning hard drives. If there are any indications of an unhealthy drive, STOP and contact a data recovery professional to discuss your options.